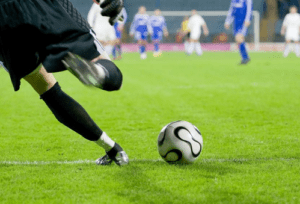 Mega sporting events, such as the world’s biggest football tournament, also known as “soccer” in the United States, capture the attention of the entire globe. In fact, over 3 million spectators are expected to attend planned events that will be spread across 12 stadiums in Russia, this year’s football tournament host country. Another estimated 3 billion fans will be watching on TV, will live stream via the Internet or will listen on the radio. Events like global football competitions allow fans to watch the best players in the world pit their world class skills against one another while representing their nation on the playing field. As such, the athletes, organizers and fans will depend on a stable power supply to make sure the events run as scheduled. National pride is on the line and Russia has invested over $10 Billion in infrastructure to make sure that the series of football matches is executed in a world-class fashion when the bright floodlights shine. In total, 32 teams with over 700 players will participate in the competition. As the athletes compete in their sport’s biggest showcase, the 11 cities that host the matches hope that their investments in infrastructure are sufficient to support the millions of people attending. Organizing such events in a sustainable manner is a major challenge. In the case of world’s biggest football rally, in addition to the stadiums, the infrastructure investment includes 96 training sites, 26 transport facilities (including 3 airports), 29 utility facilities, 12 power stations, and 27 new hotels. Care must be taken to assure that these facilities are built and managed in a highly efficient manner in order to both control costs and lower carbon footprint. Millions of gallons of water and tens of thousands of megawatts of electricity will be consumed. Another challenge is adequate power protection. Power disruptions leading to the downtime of stadium, hotel and training facility lighting systems, environmental controls, food and water delivery systems, and supporting computer systems, threaten both the economic viability and security of the sporting events. Imagine a stadium of 80,000 fans attending a night match that suddenly goes black, with the only possible light source coming from the spectators’ cell phones. Global TV networks would abandon the game and move on to other scheduled programming, compounding the economic loss that the host city and country would incur. Fortunately, if and when the lights go out, power systems can be designed to switch over to reliable backup sources of power such as generators and uninterruptible power supply systems (UPS). Modern UPSs, for instance can operate at up to 99% efficiency and can provide the power redundancy needed to ride through power glitches. In addition, new digitalized software systems can monitor physical infrastructure to determine if a problem is likely to happen before it occurs. Large crowds at mega sporting events have a significant impact on energy usage, and remote monitoring systems look for ways to manage the strain, while ensuring that the facility, be it a building, training center or stadium runs in the most energy efficient manner. New, open power and facility architectures, such as Schneider Electric’s EcoStruxureTM offer easy integration of connected products, edge control and software analytics. With such an architecture in place, connectivity and intelligence enables smart sensing, embedded computing, IP networking and edge analytics. Thus, a foundation for smart operations serves as an important building block for control, management, automation and optimization. The architecture also accommodates cloud-connected digital services that enable the cost-effective delivery of cloud-based connected apps, analytics, services, control and monitoring. This allows facilities such as stadiums to reduce energy costs, to improve power quality, and to increase power reliability and availability. To learn more about the infrastructure that supports the global availability of major sporting events, download the white paper “Maximizing Uptime of Critical Systems in Commercial and Industrial Applications”.